When it comes to holiday in the Middle East, United Arab Emirates or UAE, is the clear winner. The country has seven Emirates, two of which are the most popular, i.e. Dubai and Abu Dhabi. Although Dubai is more popular amongst the two Emirates, Abu Dhabi is also gaining lot of popularity in the recent times. This has caused lot of confusion amongst tourists while choosing a location for their holidays. So, which one is the better city for vacation? Let us find out. Sightseeing is the main attraction for most tourists visiting a new place. Both Dubai and Abu Dhabi have plenty of places for sightseeing. Here are some of the major attractions of both the cities. Dubai: Dubai is a city that has broken several world records. It is home to the tallest building in the world (Burj Khalifa), the only seven star hotel in the world (Burj Al Arab), the largest manmade island in the world (Palm Jumeirah), the largest mall in the world (Dubai Mall), etc. Apart from this, there is the Dubai Aquarium and Underwater Zoo (inside the Dubai Mall), the Jumeirah Mosque, the Bastakiya Quarter (oldest neighbourhood of the city), Dubai Museum (to know the historical side of Dubai), the Dubai Frame, Dubai Creek, Dubai Marina, Dubai Desert Safari etc. Abu Dhabi: While Dubai is known for its glitz and glamour, Abu Dhabi is known more for its culture. But still you would not be disappointed when it comes to sightseeing in Dubai. There is the splendid Grand Mosque, which is the largest mosque in UAE. On the other hand, the Abu Dhabi Heritage Village would give you a glimpse of the life of the Emiratis in the past. Apart from these, there is the Abu Dhabi Falcon Hospital, Observation Deck at 300, Louvre Museum, etc. which would surely attract the interest of the visitors. When you are vacationing with your family, you would like to visit a place that appeals to everyone in your family, especially the kids. So, while there are plenty of things to see and do for adults in both Dubai and Abu Dhabi, let us check out whether these cities have something for the kids and teenagers too. Dubai: Dubai is surely a haven for people travelling with kids. Right from entertainment zones (at malls) to adventure and water parks, there is no dearth of fun places in the city. 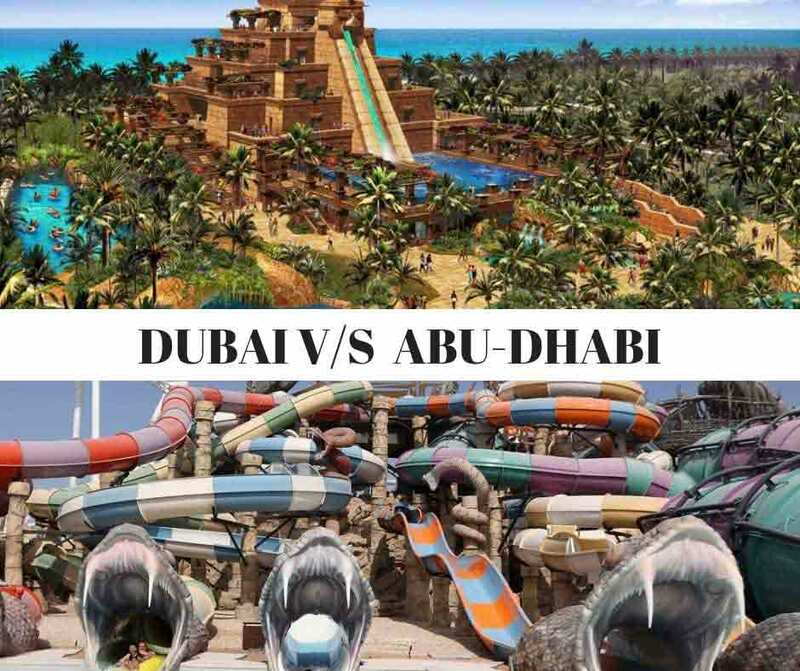 Some of the must visit places with families in Dubai include Wild Wadi Water Park, Atlantis Aquaventure Water Park, Dubai Miracle Garden, Ski Dubai and Snow World, etc. Also, Dubai has some amazing public and private beaches where you can have a relaxing time with your friends and family. Abu Dhabi: Most people think that there is nothing much to do in Abu Dhabi, apart from sightseeing. However, nothing can be far from the truth. The place has the luxurious Yas Island, which has been built specially for entertainment. 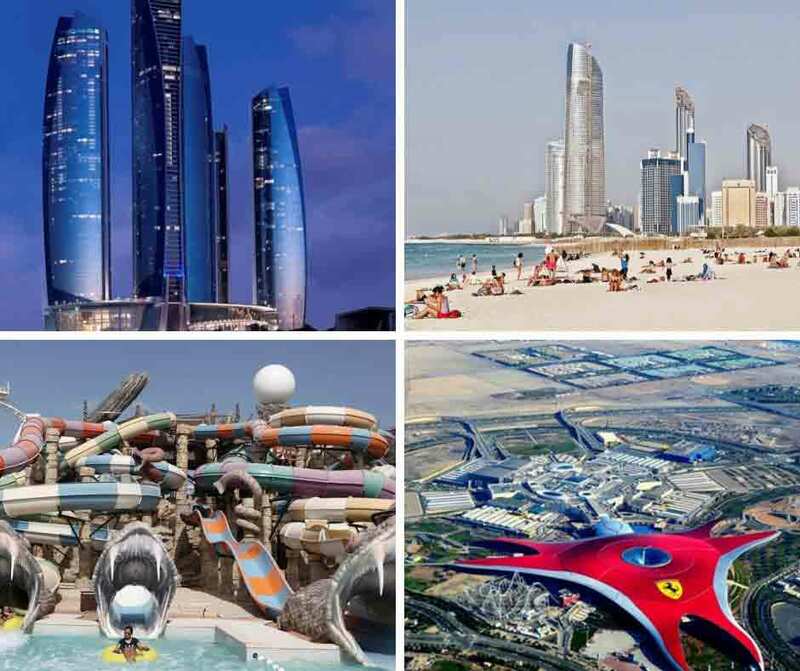 Here you would find the Yas Waterworld, the Ferrari World (an F1 theme park), Emirates Park Zoo, etc. One of the recent additions to Abu Dhabi is the Warner Bros World, indoor theme park. Moreover, there is the Abu Dhabi Corniche where you can have a picnic by the beach or indulge in some fun beach activities. 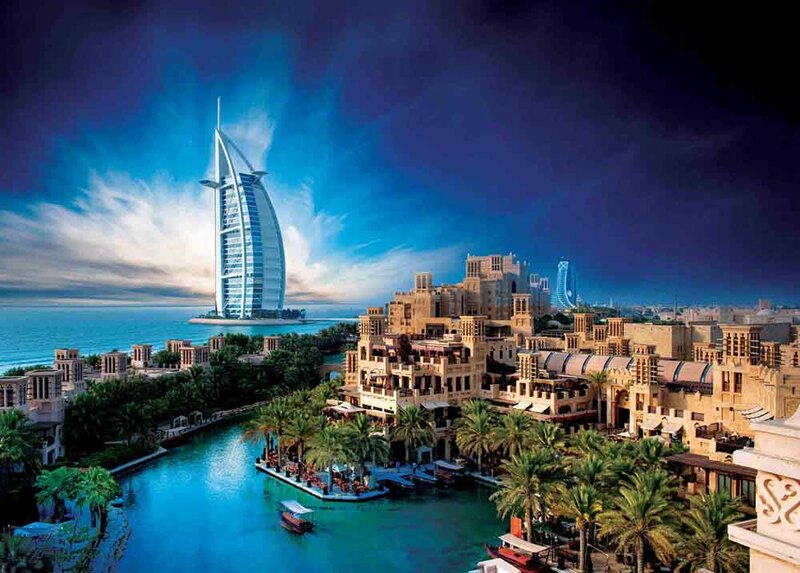 The UAE is popular as a family holiday destination. However, this does not mean that it would not appeal to solo travellers. Of course, the things that you like would depend on what interests you. Here are some of the things that solo travellers would like to do in Dubai. Dubai: Apart from exploring the city and visiting the many attractions, there are many things that a solo traveller can do in Dubai. The city has an amazing nightlife with several nightclubs and pubs. If you are a solo female traveller, you would be happy to know that many of the nightclubs have ladies night every week, where you would get free entry and free drinks too. Other than this, you can also indulge in some interesting adventurous activities like sky diving in Dubai. 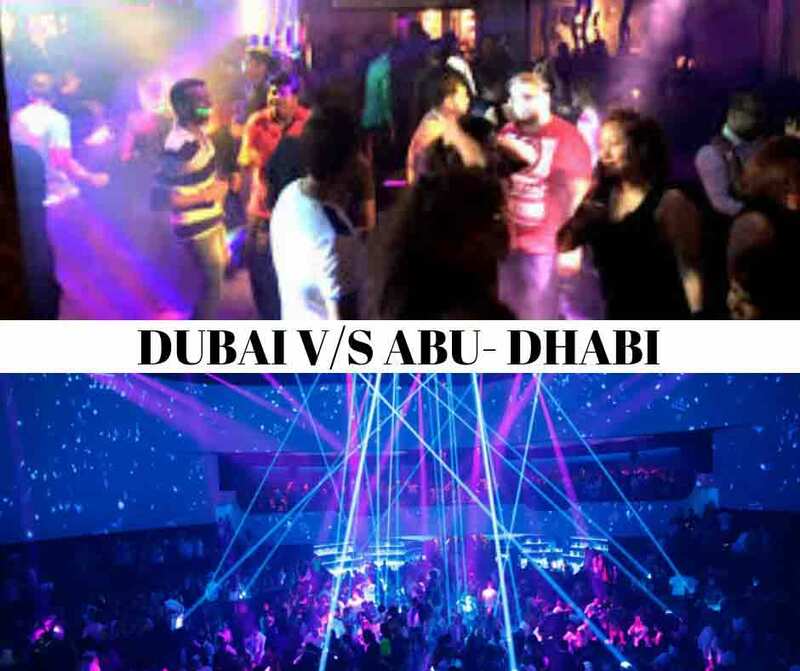 Abu Dhabi: If you want to explore the nightlife of Abu Dhabi, you are likely to be disappointed. Sadly, there are not many nightclubs in the city. However, this does not mean that you would not be able to enjoy your holiday. As a solo traveller if you are looking for a relaxed holiday, Abu Dhabi would be perfect for you. 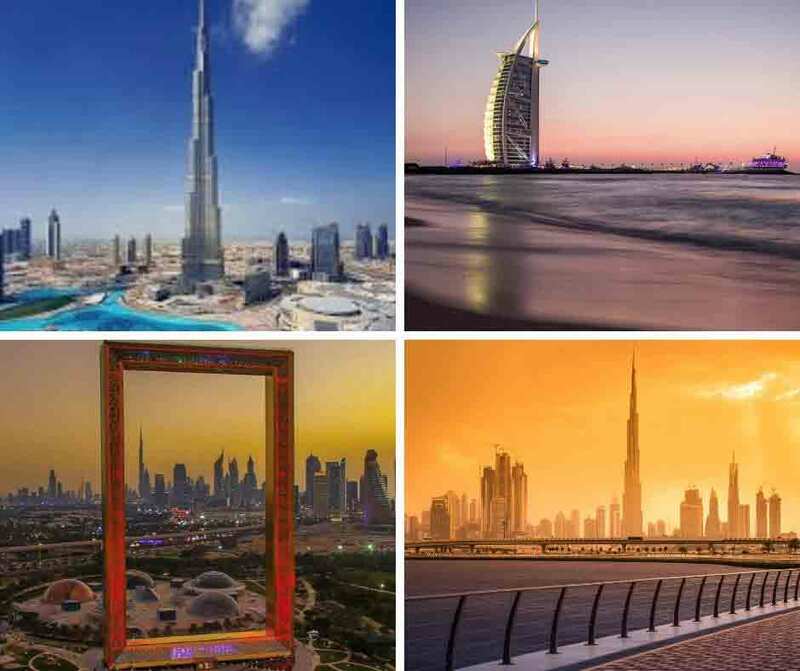 The city may not have the glitz and glamour of Dubai, but it has a lot on offer when it comes to fun theme parks, cultural experiences and luxury. Dubai is undoubtedly a shopper’s paradise with so many options for shopping. Apart from the enormous malls that have stores of almost all major brands from around the world, Dubai also has the traditional markets called souks. The gold souk, textile souk and spice souk are unique and hence must-visit places even if you do not want to purchase anything. 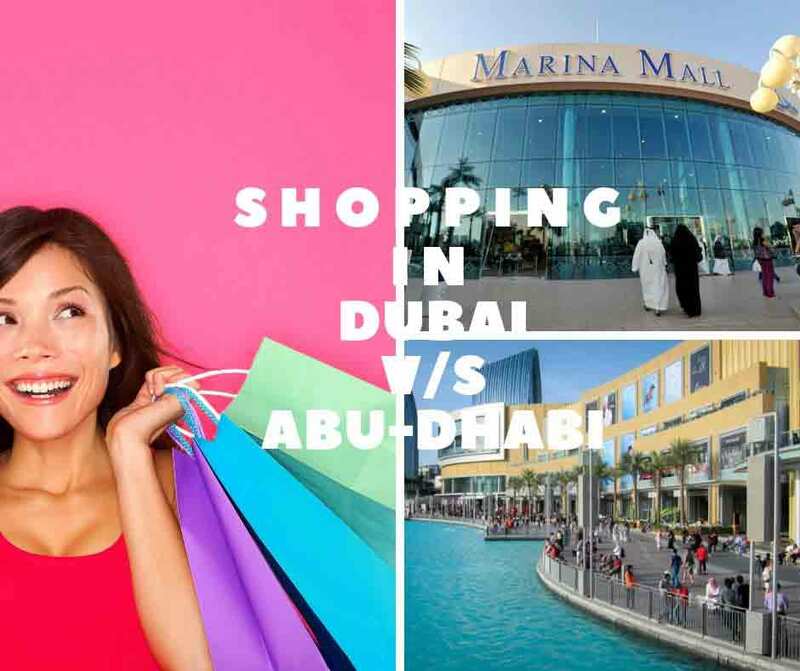 Apart from all this, the city also hosts the Dubai Shopping Festival, which is surely the largest shopping festival in the world with some amazing discounts and awesome deals too. In comparison, shopping in Abu Dhabi may seem a little less exciting. But it is not so in reality. The city of Abu Dhabi offers you several malls, the best amongst them is the Marina Mall. There is also the Arabic open-air markets, rustic marketplaces, etc. in Abu Dhabi. 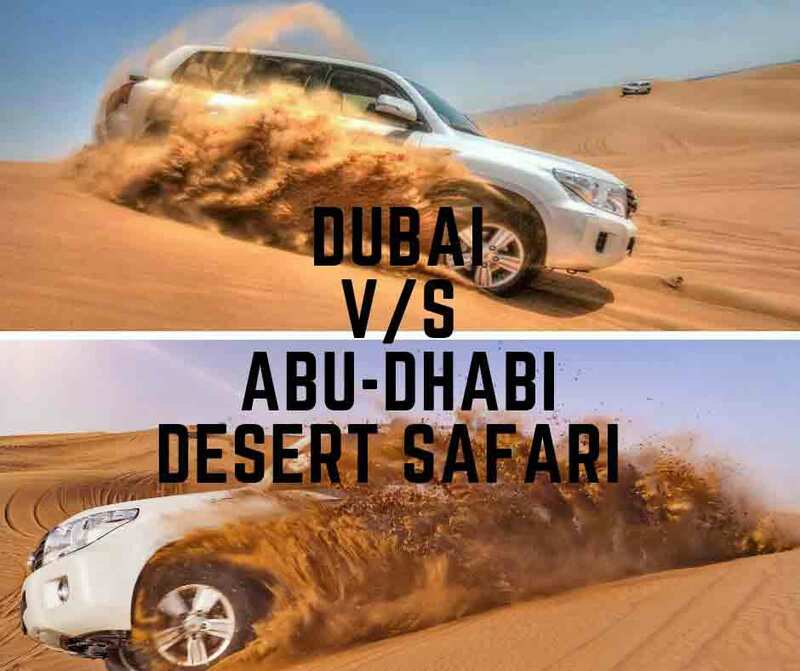 Desert safari is one of the most popular tourist activities in the UAE. Even if you are a solo traveller or holidaying with your family, the desert safari is something that you cannot miss at any cost. However, a question you may have in mind is whether you should choose Dubai or Abu Dhabi desert safari. 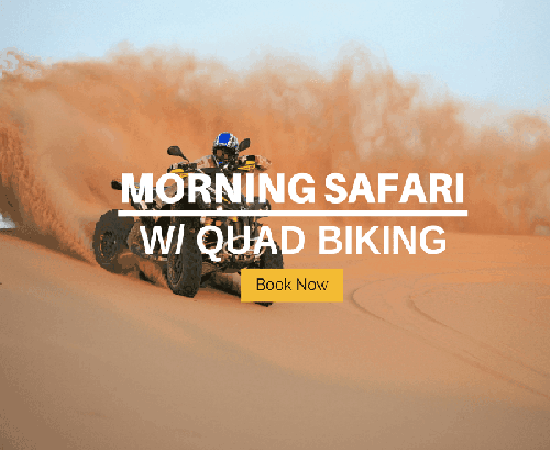 The fact is that both desert safaris offer the same things which include dune bashing, camel riding, BBQ dinner, entertainment programs, etc. There may be some slight differences like cost, deletion or addition of some adventurous activities, changes in menu, etc. The best desert safari would be one that matches your interests as well as expectations. Hence, do your research and choose carefully. Although, it would be practical to choose a desert safari in the city you are staying in or holidaying in. In a nutshell, it is difficult to choose between Dubai or Abu Dhabi for stopover or even for a holiday. Both the cities are unique and have something special to offer. The best thing to do would be to visit both the cities. The distance from Dubai to Abu Dhabi is around 140 km and would take you around 1.5 hours. You can take a private vehicle or even the bus to travel between the cities. However, if you have the time for seeing only one city, you have to decide based on your interests and what appeals to you. The choice of the better city would surely depend on your likes, dislikes and interests. Previous story Is Dubai Expensive to Visit?